On Nov. 11, we remembered and honoured the men and women in uniform who have made the ultimate sacrifice for our country. Throughout our history, Canada has played an important role in international wars, conflicts, and peace-keeping efforts as the Canadian Armed Forces have upheld our values at home and abroad. While we pay our respects, we must recognize that honouring our military is as much about the decisions that we make today as it is about remembering the past. We continue to place extraordinary responsibilities on the shoulders of our navy, air force, and army as our military sets a high standard of exemplary leadership, superior technical ability, and a willingness to improve the lives of others around the world. This level of service must be reciprocated in the form of unequivocal moral and financial support from our people and government. It also demands a constant national conversation about the role of our armed forces. Since the days of Lester B. Pearson, much of Canada has embraced the notion of our country serving as ‘peace-keepers.’ For decades, this terminology has assuaged bleeding hearts who believe that this is a relatively safe and inexpensive way to make the world a better place. 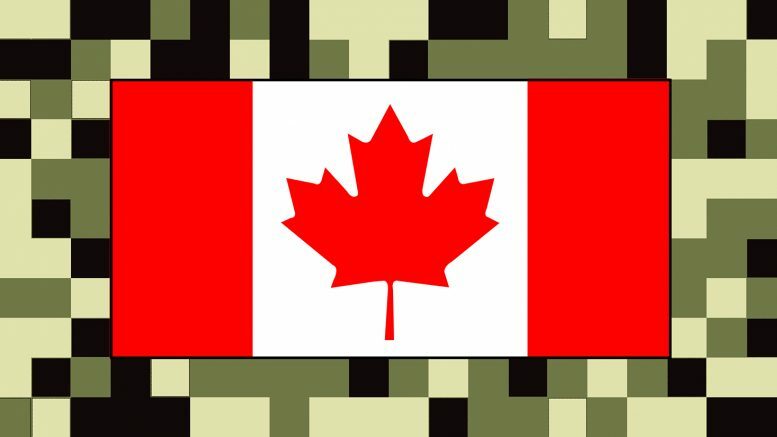 There have always been strong anti-war elements woven into our Canadian fabric and it seems that every time there is an increase to defence spending or discussion of entering into active combat zones, a backlash inevitably follows. The cold, hard reality is that evil exists in this world and must be met with an equally forceful response. Whether it was combatting the Nazis in the Second World War or helping to eradicate the Taliban in Afghanistan, our world is a dangerous place that necessitates a robust and highly capable military force. As a developed and wealthy country, it is our responsibility to show leadership when such conflicts arise. If Canada wants to be a relevant voice in international affairs, strong values must be backed up by equally strong action. It is why Barack Obama told the Canadian Parliament this summer that the world “needs more Canada.” This was his diplomatic way of saying that the rest of the world is well aware that we spend less on defence than any other G8 country. Canada’s military expenditures place us at 23rd out of 28 NATO countries in defence spending as a percentage of GDP. If you are wondering why a country with the second largest land mass in the world has lower military expenditure ratios than Albania, Portugal, and Slovenia – that’s understandable. Canada is not upholding its commitment to spend two per cent of its GDP on defence and this jeopardizes both our capabilities as a state and our international partnerships. In the most recent federal budget, Canada’s Liberal government has increased 2016 military spending to $20.3 billion. This, in concert with commitments to NATO’s high-readiness brigade in Eastern Europe and a three-year African deployment, are positive first steps. The demands on our armed forces will only continue to grow, however. The complacency amongst our generation of conflict-adverse millennials does nothing to change the reality of impending global instability. The international post-war peace era is almost at a close and the luxury of bordering three oceans and the world’s most powerful nation will not deter the 21st century security concerns we face. The European Union is teetering on the brink of collapse, the United States has just elected a demagogue, China grows increasingly imperialistic in the Pacific Rim, the Russian bear is rearing in the Arctic and eastern Europe, and the Middle East remains divided by oppressive theocracies, dictatorships, and terrorism. Meanwhile, the world’s population has already reached unsustainable levels and will continue to see explosive growth in Asia, the Middle East, and Africa. Fossil fuel emissions through energy consumption, agricultural production, and industrial waste will not be curbed as China, India, and other developing countries are only just now seeing the creation of an aspirational middle class. Countries such as ours will be protected but not immune from the first waves of climate-change driven extreme weather, famine, and disease. By the time the developed world takes the necessary action to address climate change, it may be too late. This new global context begs the question of what our defence policy will be moving forward. If you think that these issues will not require direct support from our armed forces, think again. Our military capability will need to respond to a vast array of unique and increasingly volatile situations. Emergency services will continue to be a core component of the Canadian Armed Forces’ mandate, but our ability to use force if necessary will be just as important given the challenges on our horizon. Should the Arctic passage become permanently open to travel and the United States not recognize our territorial waters, what position will we be in to assert our sovereignty? When Russia and others exercise their claims to the North Pole, what strength will we have to defend our own position? When extreme weather rocks our coastal regions and we face increasing inland flooding and fires, what support will we be able to offer to our citizenry? And when millions worldwide are displaced by climate change, what will the extent of our capacity be in aiding them? These are only some of the very real problems that must be answered sooner rather than later. These are issues that will require very real political dialogue and funding. Prioritizing military funding does not necessarily mean that Canada will increase its participation in conflicts. It means that we have the capacity to provide badly-needed international social and economic development in areas of instability, as well as the ability to enforce our national security, no matter the threat. As a country, we must look forward and recognize the coming storms. In our lifetimes, we have lived in relative safety and security. Most people understandably assume that this trend will continue and that adaptation is not required. This, however, is a mistake. When it comes to a national dialogue about our role in the world and the future of our armed forces, we must act now or it will be too late.